PLEASE NOTE - Price do not include: guide, admission fees Why should you visit the salt mine in Wieliczka during your stay time in Krakow? See a few words about it and decide if it’s worth to go there or not. This deposit of rock salt in Wieliczka has been mined since the 13th century without interruption, what is unique in the history of mining. The scale of excavation in this mine is very large, with corridors, galleries, and chambers, as well as underground lakes, in total more than 200km in length on seven levels between 57m and 198m below ground level. The largest collection of original tools and mining equipment illustrating the development of mining technology from the Middle Ages to modern times has been preserved here. 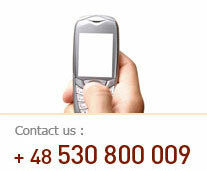 For a request visiting Schindler’s Factory is available. Please inform us or the driver before the tour. 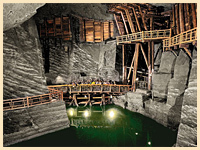 You can choose the place of start Salt Mine tour for example Krakow / Katowice airport, others city.